Concrete cutting requires delicate precision to ensure purposeful results. It requires an experienced hand with optimal know-how of how to use modern equipment to accurately make desired cuts. Clients require perfection and nothing less is acceptable. MegaSaw is a trusted concrete cutting service. Backed by a team of the world’s finest concrete cutting specialists, they are always ready to perform high quality concrete cutting services at affordable rates. Beginning with the use of excellent diamond bits and moving onto the crushing equipment (when necessary), MegaSaw is home to the finest concrete cutting tools in the world. This is a service that goes the extra mile to have modernistic equipment that is ahead of anything else that is out there. This ensures MegaSaw is able to produce results faster than anyone else and more efficiently. Clients deserve the best and that is precisely what is on offer with this service. The equipment is regularly vetted for maximum efficiency and is utilized by specialized professionals for optimal results. Want the concrete removed as soon as possible? There are services out there who are unable to take care of these issues. MegaSaw is able to crush and dispose of the concrete that has been cut. The excess should not be lying around and clients should not have to deal with the rubble that is left behind. MegaSaw ensures the concrete is removed as soon as the project is done to ensure the environment is as clean as it was prior to the commencement of the project. Quality results aren’t left for the concrete itself, but the surrounding area around the concrete. MegaSaw will always provide a courteous, flexible environment for the client to thrive in. Our specialists are trained to provide high-quality results that are going to bring a smile to your face. Customer service is essential in the modern age of business and MegaSaw understands the importance of keeping you happy. We are always willing to sit down and listen to what our clients have to say. Our representatives are trained to provide customized results from beginning to end. All of your questions and/or concerns will be alleviated before the project commences. Want the concrete cutting do be done before an established deadline? Don’t want to deal with false promises where the deadline is pushed further and further? MegaSaw guarantees high-quality results with an established deadline that is met on time. Forget about wasting time with services who are only good for making false promises. It is time to go with professionals who value your time and want to provide results as soon as possible by beating the deadline that was set. MegaSaw works tirelessly to beat the deadlines that are established to guarantee the client is satisfied. 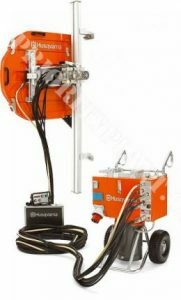 What type of concrete cutting is on offer for clients? Commercial and/or residential clients are welcome to call in and speak with one of our representatives as no project is too big or too small. MegaSaw is always willing to work with its clients to produce results that are meaningful. All projects are done with precision and care to ensure the client is content with the results produced. Finishing is a key component of concrete cutting services and our team recognizes the importance of meeting these established standards. For MegaSaw, the environment is important and meeting local and federal standards with regard to environment regulations is critical. By going with MegaSaw, you will be selecting an environment friendly solution that will produce quality results while making eco-friendly decisions. Reduce your carbon footprint by going with a company that cares about the environment. We will make sure the concrete is cut in a manner that does not harm the environment and the cleanup afterwards is done efficiently and thoroughly. MegaSaw does not cut corners when it comes to cleaning up afterwards and ensuring the environment is not effected. MegaSaw is committed to remaining eco-friendly with all of its processes. Concrete cutting is all about perfection and aesthetic finishing. With an establish quality control process in place, MegaSaw and its team are ready to provide servicing that is ahead of anything else that is on the market. There is no comparison when it comes to the refined quality that is on offer with this service. Clients get the very best when they contact MegaSaw and that begins with the customer service that is brought forward during the initial assessment. MegaSaw prides itself on quality results and a proven process that works hand in hand with the client’s personal requirements.